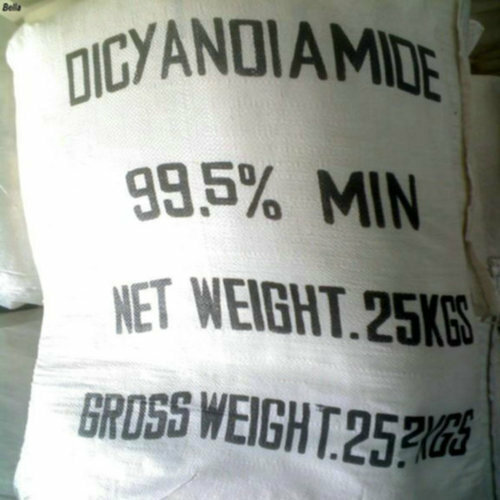 We are offering Dicyandiamide Powder. It is a nitrile derived from guanidine. It is a dimer of cyanamide, from which it can be prepared. It is soluble in water, acetone and alcohol, but not nonpolar organic solvents. Established in the year 2002, we "Chem World" are the leading manufacturer, importer and trader of a wide range of Paraffin Wax, Slack Wax, Microcrystalline Wax, Liquid Paraffin, etc. These products are precisely manufactured by our specialized professional team. Our company ensures that these products are timely delivered to our clients. Through this, we have achieved a lot of success in the market.